Rachelle is a bilingual comedian known for her boundless energy & dynamic stage presence. Last year she hosted shows for Health Canada, Revenue Canada and the CrackUp Comedy Festival gala in Ottawa. Elie was nominated for Best BreakOut Artist with the Canadian Comedy Awards and has been a supporting act for legendary Comedians Mike McDonald and Tommy Chong. 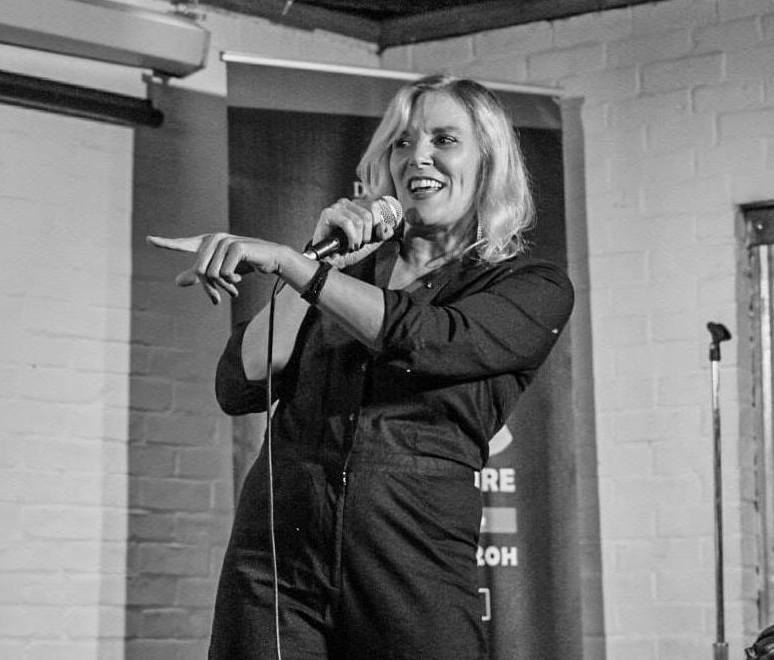 She won an Outstanding Comedy Award with the Ottawa Fringe and has participated in the First Air Arctic Comedy Festival in Iqaluit, HubCap Comedy Festival in New Brunswich, the Women In Comedy Festival in Boston and JFL 42 in Toronto. Elie’s CD S#!t I’m In Love With You Again plays regularly on Canada Laughs SIRIUS XM. With 20 years experience performing and producing shows if you hire me you can rest assured you are in good hands. I am an award winning comedian and a fabulous emcee. I am available to perform at you event or can put together the entire evening. I have been producing variety shows since 1996 and am very connected to other entertainers and can cater an event to your preferences. Music, Magic, comedy, circus all of these styles can be integrated into an evening of vanity fun or an evening of stand up comedy if that is your preference. Jessica Holmes, All Hassan & Samatha Bee are only a few of the amazing talents that have performed in my shows. I have produced evenings for 50-500 so if you provide the audience I can provide the fun! I travel with my own glittery backdrop and can bring sound and lights if necessary. I want the client to be happy so if the request is to keep the show clean I will respect your wishes so that you are satisfied with your result. Ultimately if the client is happy I am happy. I adore making people laugh and any opportunity to do what I do best leaves me smiling. Rachelle has written and performed five one woman shows and was nominated for Best BreakOut Artist with the Canadian Comedy Awards in 2018. So far in 2019 Rachelle has performed in the HubCap Comedy Festival in New Brunswick and was one of 4 comedians chosen to perform in the Tommy Chong Gala. 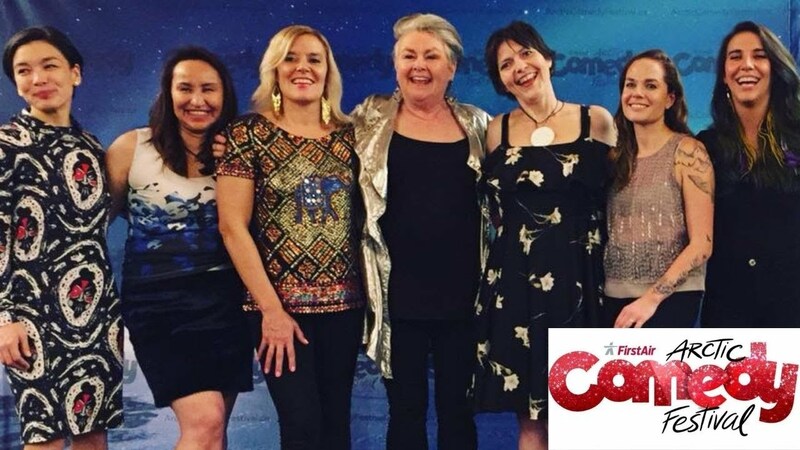 She won an Outstanding Comedy Award with the Ottawa Fringe and recently performed her one woman show S#!t I’m In Love With You Again at the Edinburgh Fringe Festival. Her show was also invited to be a part of the Off-Broadway Encore Series in New York. She has participated in the First Air Arctic Comedy Festival in Iqaluit and the Women In Comedy Festival in Boston. Elie’s CD S#!t I’m In Love With You Again plays regularly on Canada Laughs SIRIUS XM. 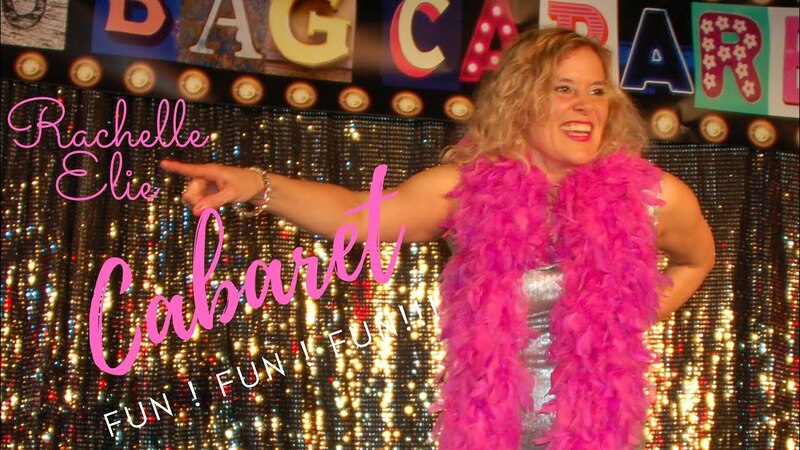 Rachelle is an independent bilingual comedian who works at Absolute Comedy, Yuk Yuk's and produces Toronto longest running Cabaret Circa 1996 Rag Bag Cabaret. She is known for her boundless energy & dynamic stage presence. I require a working microphone(ideally cordless), a spot light at a minimum and ideally a slightly raised stage to perform on. I travel with a portable 8 X 8 glitter curtain and if the room where you are having your show need a little extra something my curtain certainly makes a ordinary room a little more fabulous. A tall stool is also greatly appreciated. I have been producing shows for twenty years so if your company does not have access to sound and light equipment I can easily bring my own or rent it for you and include it in the quote.